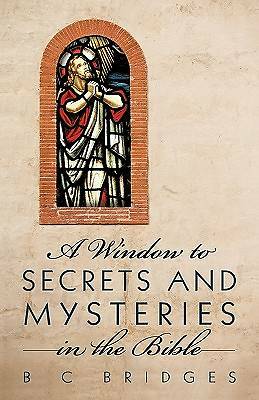 This book, A Window To Secrets And Mysteries In The Bible, is just what the tile claims. Other people may know about these things, but if so I have never heard it expressed. After reading this book you may read the Bible in a slightly different way. That doesn't mean that the contents of this book, tries to change the Bible in any way. It does not try to add a single word to the Bible, nor does it try to take a single word away from it. In the book of Revelation, in the last chapter, God's word tells us of the terrible punishment that would befall any one trying to do that. If you have already read the Bible, you may feel like you want to read it again, just to make sure that what you read is really what it said to you. So get back in the Bible, and maybe get surprised. You could find other mysteries, not in this book.